I borrowed this from my boyfriend’s mom since I was curious about it. 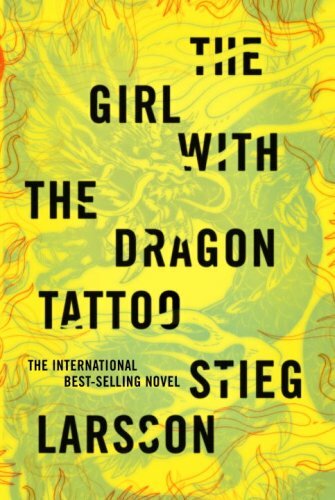 This book spawned two sequels and a movie so I don’t think a plot rehash is necessary, but for those who may not know, the story revolves around Mikael Blomkvist, a journalist and Lisbeth Salander, the girl with the tattoo. Blomkvist published a story against the head of a financial corporation and was sued for libel. He lost the case and was imprisoned. After his arrest, Henrik Vanger contacts him to investigate a mystery that Vanger was obsessed with. Salander joins Blomkvist in his work from an earlier report that she wrote on Blomkvist. She is an investigator, among other things. The book is an enjoyable read. The book’s strong point is the mystery that Blomkvist needed to resolve. It draws you in its intrigue and I remember wanting to keep turning the page to find out what happens next. Though, I also remember thinking that if Henrik Vanger was obsessed about solving the mystery for 40 years, he must have noticed the leads that Blomkvist followed to solve the case. Of course, I’m saying this with omniscient eyes, but I felt the clues were a little too simple that they could have been picked up by anyone who did a thorough research or looked closely enough. The photograph clue comes to mind here. Blomkvist saw photographs of the day of mystery occurred, and he noticed that there was a strange figure, or that the face of the missing girl changed rapidly from one picture to the next. Is it possible that he’s the only one who noticed after 40 years? Yes. But if the story has it that Henrik Vanger did all he could, I couldn’t believe that no one noticed those things. Maybe if the book had more of an explanation, yes we went down that route but couldn’t find anything, I would have been happier, but, I do realize I’m splitting hairs here. As for the characters, they were written adequately. Nothing to sing praises about and nothing that could detract. Blomkvist is a good lead. Salander is okay. I had no strong feelings either way for her. I was a bit skeptical of her super-human ability to memorize details and analyze. It seems convenient for her to be a genius; not that I have anything against genius characters. It just makes her too good. I realize that she’s not perfect, however. She has anger issues and is difficult with people, so her genius and her flaws balance each other out. The elephant in the room is that Salander has a horrific past, which wasn’t detailed in this book. Without those details, she seems one-note. I can’t be sure if she is a good character to read. While well-drawn, my reaction to her is exactly what she would have wanted had she been a real person: dislike. It’s hard to sympathize because she won’t let you. I haven’t read the sequels where her past is laid out, so perhaps I’m jumping the gun in judging her, but based solely on this book, I can’t say that I like her very much. She’s strong, obviously competent and aggressive, but do I like her as a character? 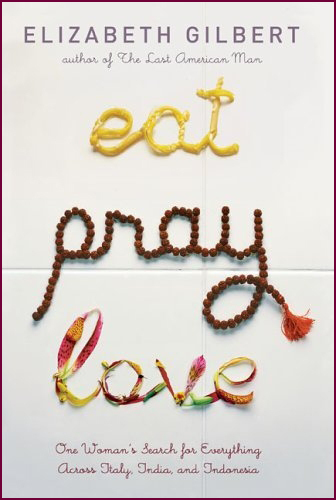 Can’t say I do. She is not someone you can easily identify with. This is not to say that I must identify with all characters in order to like them. I liked Blomkvist enough; I didn’t identify with his magazine-editing, scandal-outing, affairs-participating activities. But somehow I get what Blomkvist is supposed to be. While Salander, not so much. I probably just need to read the rest of the books to clear these issues. Other than Salander, another detractor is the ending. I did not like how it wrapped up: it felt like an add-on! After Blomkvist solved the mystery, the book entirely forgot about it and launched into its side story, of Blomkvist’s career. I would have liked this better if it was introduced in a more seamless way: it seemed to me that the story came to a screeching halt and did a sharp turn away from where it was going. There was hardly any mention of the mystery and it was apparent that the book chose to go the route of solving Blomkvist’s career in order to set up the scenes for the next book. Ultimately, the book is a bit of a letdown. I’m in the minority judging by the amount of love this book and its sequels get. If you’re going to pick it up, I would still recommend it. My critiques may not bother you as they did me and it would be a shame if you missed it because of the review. After all, the story was good. This entry was posted on Wednesday, June 30th, 2010 at 8:41 am	and tagged with 3/5, contemporary, dragon, girl, larsson, series, stieg, tattoo, thrillers and posted in Contemporary, Thrillers. You can follow any responses to this entry through the RSS 2.0 feed. I’m impressed with the thought you put into this review and the side review of the characters. I haven’t read this book, and I’m still on the fence about whether I will. I read on your last post that your review pace was slower than anticipated. I’m surprised you can do them as often as you are! This book is tricky because it’s both good and bad. Personally, without the hype around it, I wouldn’t have picked it up. I was curious because everyone else read it and I wanted to know what was so good about it. Thanks for stopping by! I would like to post more often but glad to see that there’s nothing wrong with posting once a week!